Buy any Arcane Road or Track Bike for a Youth Rider for the 2019 racing season , and we will swap the frame (for the next size up) if your future champion has a growth spurt during the year . Buy the Bike that suits them Now – and we will swap the frame if / when they outgrow it * . At Bicycle Design Centre – we often see Youth Riders presenting with problems caused by riding Frames that do not fit them . Too Big (They will grow into it) – or Too Small for them (Expensive Bikes that they have outgrown). These issues are hard to rectify , and often follow riders into Senior Racing . 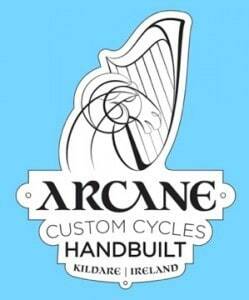 A Full Carbon 11 Speed Arcane Complete Road Bike (Arcane / Dedacciai / Sram / American Classic) can start from as low as €1,950 (Contact us with your requirements) . Original Frame must not be damaged on return (Excluding normal wear & tear). One Larger Frame within One Year of Original Purchase (Non Transferable) .